The Sabre VRN2a is a compact SF6 insulated Vacuum Ring Unit (RMU). 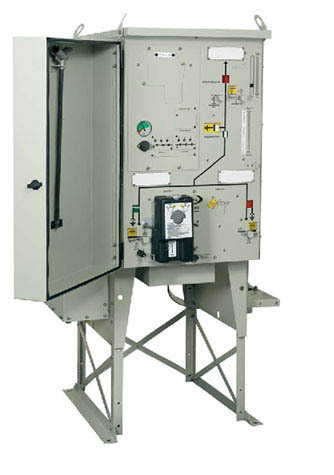 The unit can be mounted to the smallest distribution transformer or be sited in a free standing format. Design to be used both indoors and outdoors, the unit has a long service life and requires virtually zero maintenance.